Spring Clean is an annual countrywide event that takes place during the month of April. 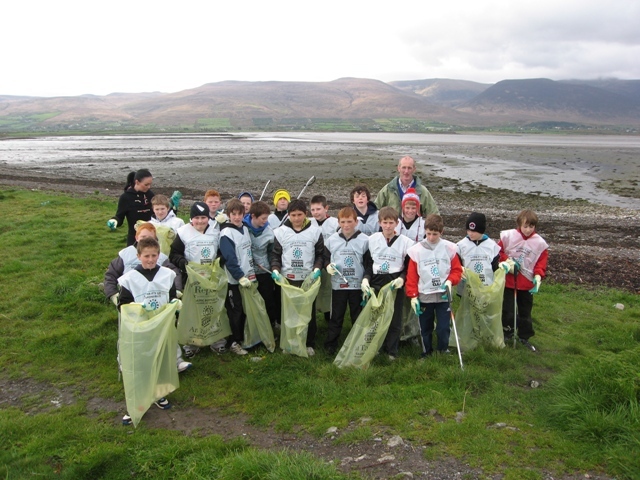 As part of National Spring Clean 2011, the pupils of 5th Class travelled to Cockle Shell Beach on Thursday, 14th April to clean the beach. 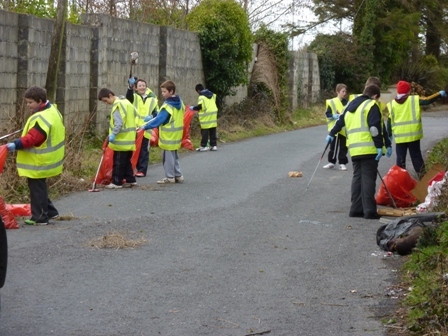 We had registered our event with An Taisce (http://www.nationalspringclean2011) and received a Clean-Up Kit which included gloves, bibs and refuse sacks. David Diggins, our school caretaker, provided us with rubbish pickers and extra gloves. The fine weather on the day made the experience all the more enjoyable. 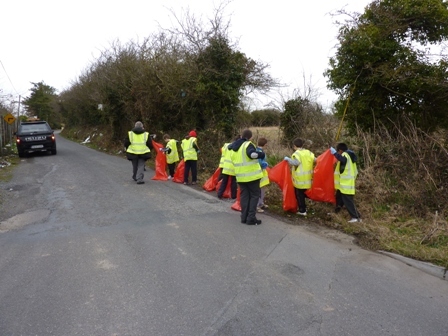 A total of 30 bags of rubbish was collected by the pupils. Sincere thanks to Sinéad from Kerry County Council, who arranged for the rubbish to be collected. As part of National Tree Week a group of students from Presentation Secondary School Tralee gave a power point presentation to the students of 5th classes. The students learned about our native Irish trees such as the oak, ash, yew, silver birch and blackthorn. They learned how to recognise the different leaves and seeds, what the different woods were used for e.g. 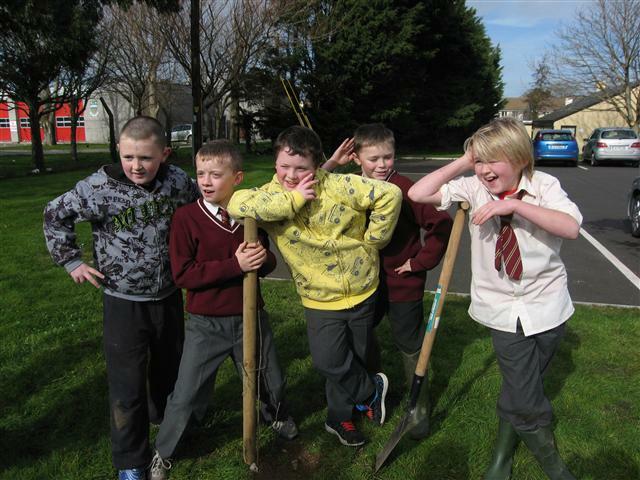 ash is used to make hurleys and they discussed the benefits of trees in our environment. 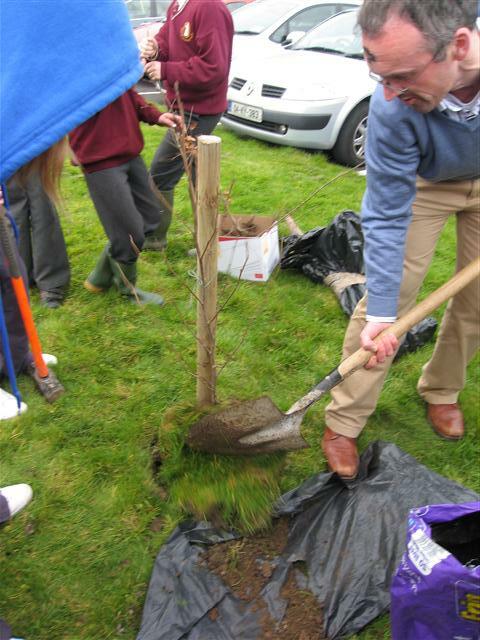 Kerry County Council donated different native Irish tree saplings to the school for planting. So on Wednesday, March 9th the students planted them in the school grounds. We also ran a poster competition for the two classes based on the theme "What the environment means to you". 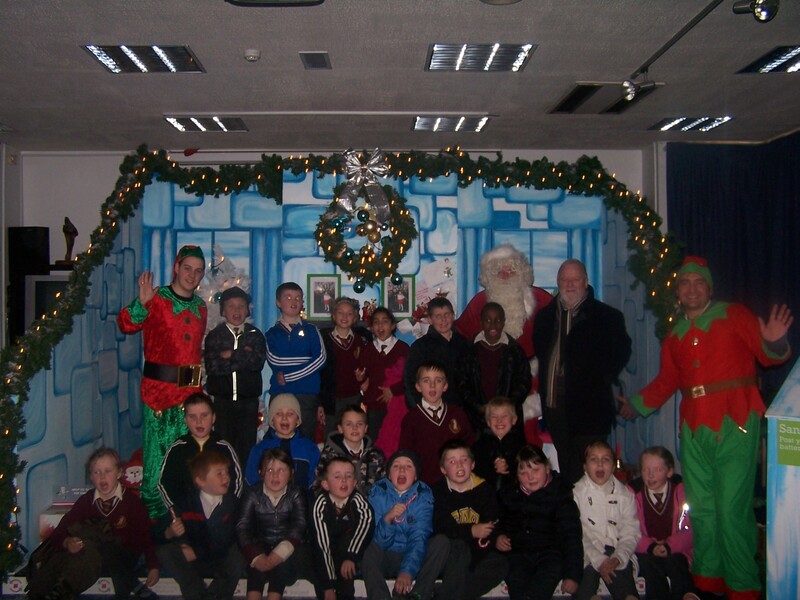 Holy Family School were invited to attend the 'Recycling Project and the Christmas Campaign' which took place in Kerry County Library on December 14th, 2010. 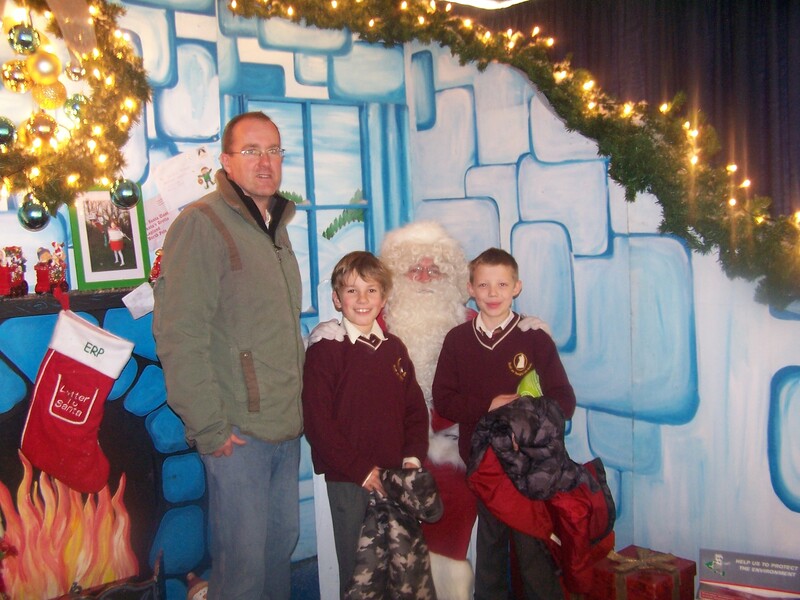 The pupils were asked to bring batteries from home or school for the Recycling bin at Santa's Grotto. Each child received a fitting reward for "Being Good" in recycling their batteries! Holy Family School has always been a school which promoted among its staff and pupils an awareness of the environment and of the necessity to make the school community conscious of its obligations to preserve our 'green community' through the reduction of waste and waste re-cycling. The Green Schools Award is a Europe-wide project designed to encourage and acknowledge whole-school action for the environment. 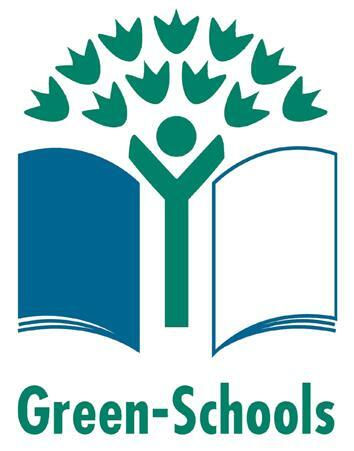 The Green Schools Programme is designed to make environmental awareness an intrinsic part of the life and ethos of the school for all its pupils. 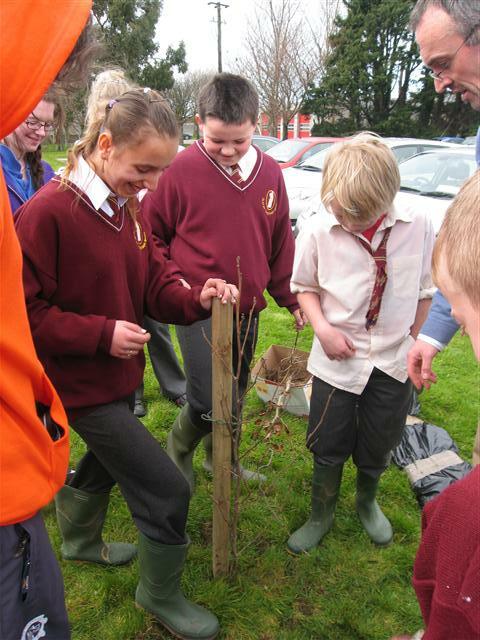 Holy Family School has taken part in the An Taisce Green Schools Programme. We have been very successful to date in running the first three themes of the programme: Litter & Waste, Energy and Water. This year 2010/11, Mr. Anthony O' Sullivan, Co-Ordinator of the Green Schools Programme in Holy Family School will start the fourth theme in the Green Schools Programme, Travel.